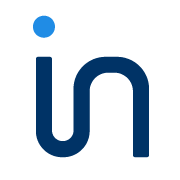 Infolinks is a global advertising company offers a suite of intent-based advertising products, for publishers, agencies and brands. The products overcome banner blindness to improve results for advertisers while creating new revenue opportunities for publishers. Its In3 platform offers a suite of intent-based advertising products, including InFrame, InSearch, InTag and InText. The products overcome banner blindness to improve results for advertisers while creating new opportunities for publishers. In3 powers the fourth largest publisher marketplace in the world, analyzing over one trillion words a month in real time and driving revenue for over 100,000 sites in 128 countries. Infolinks is headquartered in Palo Alto, CA with R&D out of Tel Aviv, Israel. Visit Infolinks at www.infolinks.com, find us on Facebook and follow us on Twitter.